[...] But it is more interesting to see from a wider perspective how Wyeth and Malick share an important socio-cultural position. Both men straddle the artificial division between ‘High Art’ and ‘popular / commercial’ culture. 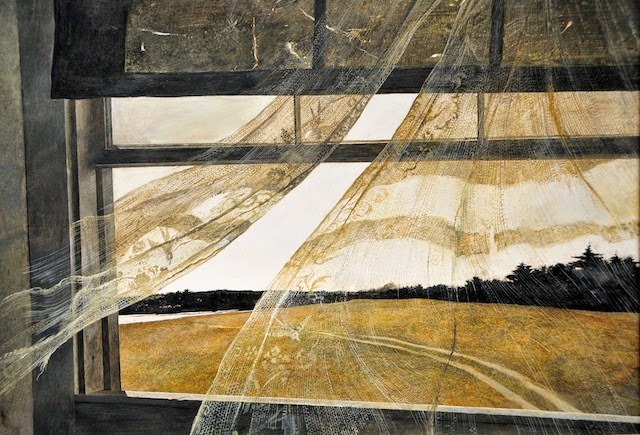 Wyeth merits display in such an august artistic institution as the Dulwich Picture Gallery. 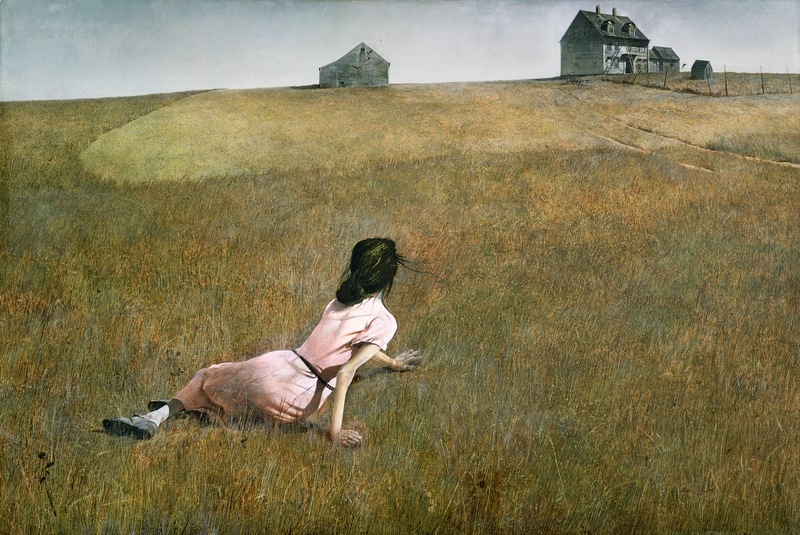 Yet his work has been dismissed by some critics as “sentimental”, “mere illustration”, “emotional”, “formulaic stuff”. 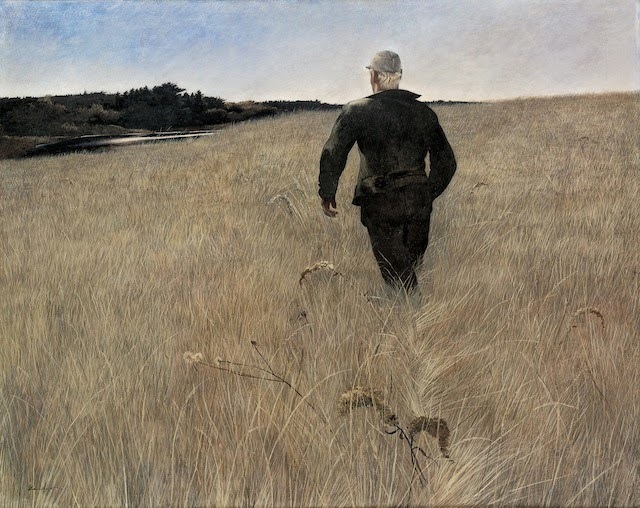 Wyeth was known as the “Painter of the People,” due to his work’s popularity with the public. This divided reaction mirrors the fallacious division of cinema into two rigidly separate realms, the worthy one of the “arthouse” and the despised one of the “popcorn multiplex”. 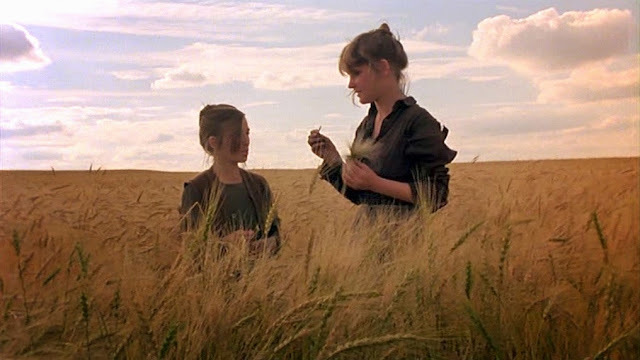 Malick’s films are fascinating in how they challenge the misguided and snobbish assumption that all American cinema belongs in the latter category. 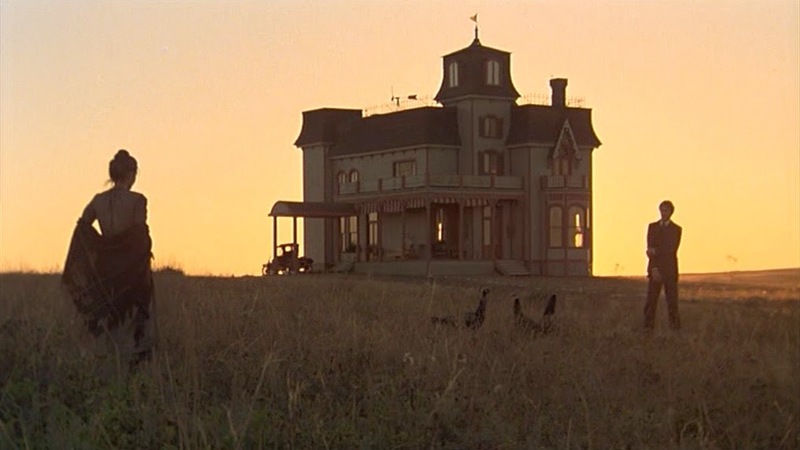 Like all his films, Days of Heaven is a Hollywood film, featuring Hollywood stars, and made via the Hollywood system, albeit an off-centre strand. Producer Bert Schneider was also a cross-over figure. Co-creator of plastic pop group The Monkees. But then an avid supporter of the New Hollywood via Easy Rider, Five Easy Pieces and, later, Days of Heaven. 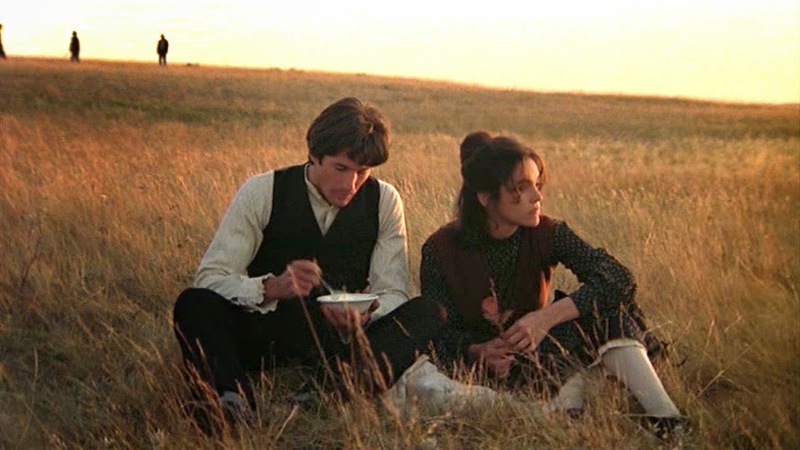 At times Days of Heaven looks and feels like a Western, structured narratively as it is around two common themes of that genre, the parallel battles of man (sic) versus nature, and civilisation versus man’s (sic) lower, passionate nature. A battle for “order” on both levels. The “art” v “popcorn” fallacy rests heavily on another myth, that of the “auteur” as solo filmmaker, responsible alone for a film’s entire artistic and literary content. Malick is often claimed as a rare example of a Hollywood auteur. 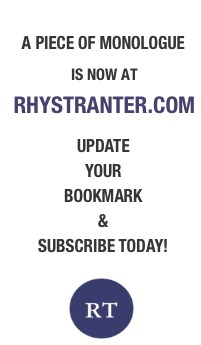 Not surprisingly given the signature trademarks which run through his films. All of which are present in Days of Heaven: strong visual narrative; shot almost entirely outdoors; use of minimal electric lighting; characters often backlit and filmed towards late afternoon / early evening; much on the spot improvisation; use of almost disembodied voiceover to drive narrative. The result is a series of films often described as ‘hypnotic’ or ‘transcendental’. A long way from standard Hollywood fare. Malick’s auteur persona reflects how unusual he is as a Hollywood filmmaker. He studied philosophy at Harvard and Oxford, then taught at M.I.T. Since his first feature, Badlands in 1973, he has made a total of just 5 features in 37 years. Compared to the 31 films directed by that undisputed Hollywood auteur, Clint Eastwood in a similar period. In between films Malick has continued to teach. Clearly a man not driven by standard Hollywood motivations of fame, wealth or ego. On the other hand, Malick is in some ways a quintessential American filmmaker. Born in the spirit of E Pluribus Unum into a family of middle-eastern (Assyrian) background,. Brought up as a farm boy in Oklahoma and Texas, neither known as hotbeds of High Art. Established in his Ivy League career the lure of Hollywood drew him from the East Coast via the not unusual route of journalism then scriptwriting.